While the majority of downloads over the past 15 years have featured pre-recorded content, one of the fastest growing areas in 2018 features live TV. Hundreds of websites now offer live broadcasts, sports in particular, without payment to copyright holders. Quality isn’t always great but for those looking for a cheap and cheerful sporting fix, the latest matches, games, and races are never more than a few clicks away. 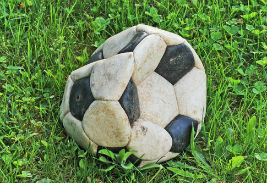 As one of the most popular games in the world, soccer or football is also one of the most pirated. An endless stream of sites provides access to the world’s greatest leagues, either for free or modest fee, something that’s a thorn in the side of outfits like the Premier League who otherwise like to charge premium fees. Over in Poland, NC+ broadcasts football to the masses but like its counterparts all over the world, also has a piracy problem. Aiming to tackle this unfair competition, NC+ filed a complaint against unlicensed sports streaming platform FutbolHD.tv, which had been offering its football broadcasts without permission. Legal proceedings took place last year and have now been made final. For disseminating content for which he held no rights and making his service a regular source of income from which he obtained a material benefit, the operator of FutbolHD was sentenced to 10 months imprisonment, suspended for three years. He was also ordered to pay a fine of PLN 160,000 (US$43,317) to ITI Neovision SA, the Canal+ Group-owned operator of NC+. “The court ruled that the website owner acted to the detriment of ITI Neovision SA, the operator of the NC+ platform, which has the exclusive right to broadcast the above-mentioned content,” the company said in a statement. 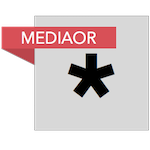 Dealing with sports piracy is a priority for broadcasters all over the world but it seems unlikely that tackling them on a case-by-case basis will solve the problem. Custodial sentences do provide some deterrent but creative thinking is required. Outfits like the UK’s Premier League recognize this and have been taking measures to block pirate streams at source, something which is claimed to have had a negative effect on availability. Not even this approach provides a silver bullet but it is much more effective than taking legal action against endless sites that are easily replaced in a matter of days, or even hours.